Licensed by the Colorado Real Estate Commission in 2013; #FA100047553. Evergreen resident of over 30-years. Graduated from Evergreen High School in 1985. Received a degree in Business Administration from Fort Lewis College in 1990. In 2000, received MBA from University of Phoenix. Started in banking directly after graduating college in 1990. Total banking experience of 20-years, includes being Vice President of Evergreen National Bank. Banking background centered around lending, primarily construction and real estate. 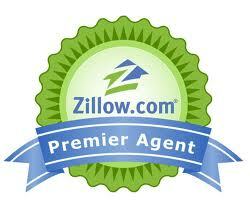 Licensed by the Colorado Real Estate Commission as a Broker Associate in 2013. During professional career, has been actively involved in civic organizations such as Chamber of Commerce, Rotary, and etc. Served as Chairman of Board for Evergreen Chamber of Commerce in 2000, and Board Chair for Conifer Area Chamber of Commerce from 2009 – 2010.